Home Tech	MoviePass, The Movie Subscription App That Had A Whirlwind 2018, Lost 58% Of Their Customers. Will They Survive 2019? In 2018, my friends and I all jumped into the MoviePass bandwagon. We went to, on average, 3 movies a week and saw films that we never thought we’d pay a dime for. We racked up rewards points at almost all theatre chains and we had a blast. MoviePass was a great deal. We bonded over movies and we were able to see many more films in one week than we had in a few years. However, in the back of our minds, we knew that eventually the gravy train would come to an end and we would no longer be using the service. In all fairness, I gave up on the service much quicker than my friends did. MoviePass changed their plan from unlimited movies a month to 3 movies a month. Then, they stopped showing the big films. Eventually, they made it impossible for us to see any film because the only theatres showing films were 20+ miles away. We jumped to AMC A-List and haven’t looked back. AMC A-List has problems as well, but for the price and the availability, you really can’t beat it. 3 movies a week for $20 a month. AMAZING. 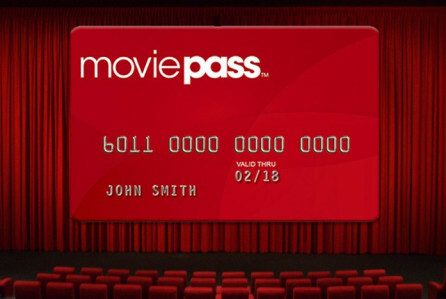 So what happened to MoviePass? Well, according to BusinessInsider.com, they lost over half their paid members. Not sure if they lost their members to AMC A-List or just completely off the market but it’s a devastating number to think about. MoviePass at one point bragged that they had 3 Million paid users. That would mean that now, they have less that 1.5 million users. They are currently brining in about $15 Million a month from paid users. I hope this company can survive 2019. More competition the better. Is Tesla going to go bankrupt?